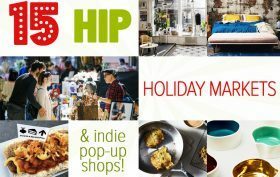 ’Tis the season for shopping; even if we’re determined to resist the call to consume (or do all our shopping online, from bed), there’s always that unexpected invitation, last-minute secret Santa, or someone special that sends us scrambling for the perfect present. 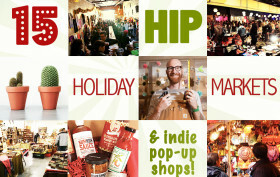 Fortunately, there’s no shortage of gift markets and pop-up shops offering a bounty of goodies and crafty gifts. 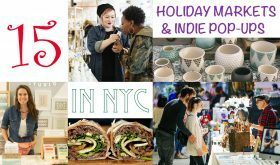 The big mainstream NYC markets at Union Square, Bryant Park Grand Central Station and Columbus Circle are the front-runners for sheer volume, but some of the best finds—and the most fun—can be found at smaller, cooler neighborhood affairs. 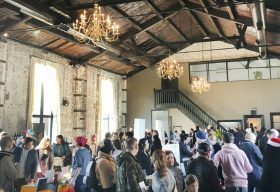 In addition to locally-made jewelry, crafts, vintage finds, artfully curated fashions, home items, gourmet goodies and other things we didn’t know we needed, these hip retail outposts sparkle with drinks, food, workshops, tarot readings, nail art, music, and family fun to keep shoppers’ spirits bright.